Years back, selling a home was as simple as placing an ad in the newspaper. How quickly times have changed! Nowadays buyers find real estate almost exclusively online. That is why we feel that every possible technological advantage has to be given to a home to ensure it gets sold. 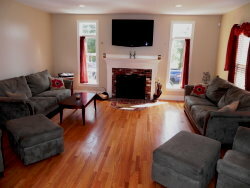 If you hire a professional and do what is required, your home will sell fast and for top dollar! Below are some of our top initiatives to get our clients homes SOLD! As referenced in our Marketing section of our site, online marketing is critical to selling in today’s market. Even with the best photographs, the most interactive floor plans, and impeccable staging, without the proper online presentation, it is all for nothing. It is not enough just to put the home on MLS, obviously a good first step but there are countless other sites that need even more attention. Sites like Trulia.com and Zillow.com require tedious manual uploading of pictures to ensure the home gets the correct exposure. The more obvious sites like Realtor.com and Boston.com continue to charge more and more for proper home placement but also require plenty of administrative work to ensure accuracy across all sites. Just because a buyer can log onto these sites for free to view homes does not mean that they are free to companies like ours. The rising costs of advertising homes online is one of the biggest reasons that many agents do not do it and rely solely on MLS. Let’s face it, most agents aren’t professional photographers. An agent running around with a $70 digital camera or smartphone is far different than a professional with a $3,000-$5,000 digital camera. Angles and lighting can make a profound difference in how a Buyer perceives your home. 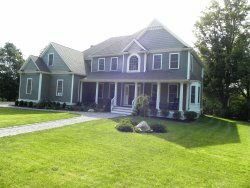 In addition, it makes it much easier to find 30 quality pictures that are allowed on the Multiple Listing Service (MLS) and many other sites. 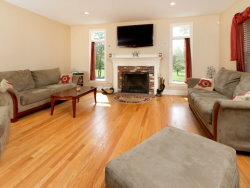 It still amazes us how so many agents will upload 10 or fewer pictures on MLS and most of them are low quality at best. National studies have proven that the more quality pictures posted online, the more views your home will receive! Another absolute must for some our client’s homes is an Interactive Floor Plan Tour. Virtual Tour technology has been around for 10 years now, but the complaint with them has always been how the video feels like it was taken in a fish bowl. This is because the lens used takes 360° pictures that make for this fishbowl or underwater feel. Technology improvements now allow for better imaging, higher quality pictures coupled with an interactive floor plan, and even a Room Planner tool! 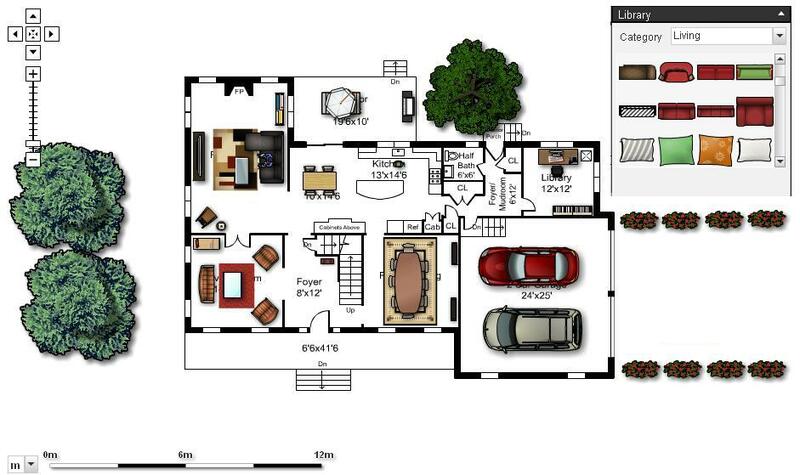 See an example of a completed floor plan. Study after study show how higher quality pictures and interactive presentations, increase online viewings by as much as 50%! The following links demonstrate the results of this technology and show why buyers won’t be able to stay away from your home. 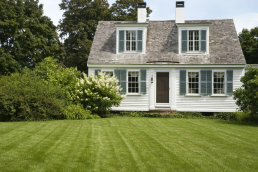 View a Colonial Home Floor Plan or View a Bungalow Floor Plan. Curb appeal is important no matter what the season. During the winter, yard waste needs to be raked up and snow needs to be neatly shoveled. Flowers should be planted and fresh mulch laid for the Spring market. Summer time can create patio furniture arrangements and a nicely mowed lawn. And last but not least, the Fall requires leaves to be raked and bushes trimmed. Since getting Buyers into the home is half the battle, make sure they do not lose interest because your house is brimming over with stuff that could easily be placed in a closet or drawer. De-cluttering doesn’t mean getting rid of everything but it definitely means organizing and removing your stuff. Junk removal companies can come in handy or even a bunch of friends over the weekend to help with some of the heavy lifting. Busy households often fall into the habit of using a room for multiple purposes. Such as the dining room acting as the kid’s play room or the family room turned into a home office. Even though these rooms have served a valuable purpose for you, a Buyer may get confused or feel the space is inadequate. Maximizing the true purpose of each room goes very far when showcasing a home. Most Buyers work during the day and do not have the chance to drive by a house except at night. Without a Seller even knowing it, a Buyer could be turned off by the property because not enough lights are on, giving it a cold feeling. 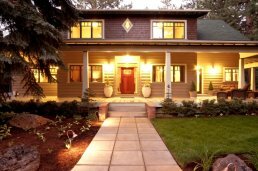 The small increase in your electrical bill is well worth the warm and inviting feel that all potential Buyers will get when driving by your home at night. A good way to get a Buyer’s attention is to add some color to your front door. The color red always makes a statement and can give the perception of the whole house being painted. Other fun colors that make an impact are yellow or dark green. Last, but certainly not least, we provide accurate data to establish a realistic price. It is in the interest of no one to overprice a home, because it will simply not sell. And the increased time languishing on the market only devalues the home and frustrates the Seller. Buyers and Buyer agents have access to the same information as we do and can no longer be fooled by an inaccurate home price. Buyers want a realistic price point or they will not even consider the home. To learn more about us and how our team approaches the business, go to the About Us page. My husband and I have sold a number of properties over the years. Historically, we have witnessed a decrease in the “selling” of real estate and an increase in passive Internet listings, where once the property is listed, a wait until an inquiry is received approach is invoked. This was not our experience with the Lamacchia Realty . They understand the market and leverage the tools available to sell a property, not just MLS. Throughout the entire process we were impressed by their level of professionalism, their research and guidance in the pricing process, their use of interactive tours and floorplans to actively promote our property, their networking within the real estate community, their communications throughout the sales period, their process for showing the property, the feedback on each showing and their support throughout the closing process. Well done!